The Working with Children Check (WWCC) is a comprehensive criminal record check for people in child-related work in Western Australia. Up until 2016 all WWCC checks and renewals were done by hand through Australia Post. 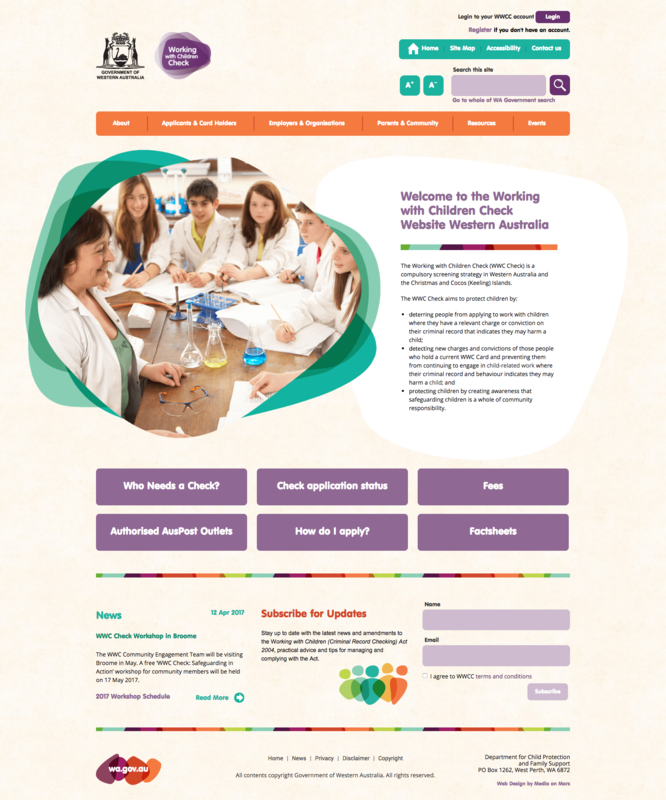 We worked in partnership with a large team at the Department of Child Protection (DCP), as well as external consultants, to create a new website and update the branding. We were the 'design consultants' for this project. We managed the branding, user experience, the wireframe development and the visual design. These were then passed to their in-house team as a series of accessible HTML templates. This work has resulted in significant improvements – making life simpler, saving time and money for everyone.